Erema specializes in recycling of plastic waste. They developed technology for processing strongly printed, heavily contaminated and wet plastics waste. Their complete systems have an automatic feeder, compactor (densifier/agglomerator), plasticizer, filter, and degassing extruder. 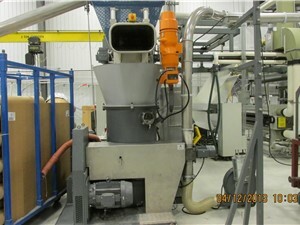 The processed material is then fed to downstream pelletizer. 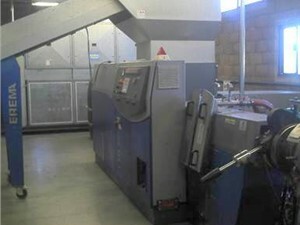 Erema systems excel at reprocessing scrap film products and PET bottles. Erema also strives to produce energy efficient, space saving lines.that reduce the amount of time it takes to recycle the PET. Popular historical models include RGA-TVE, RGA-T, KAG, and PC. Current models include the Intarema, Vacurema and Corema.